This year’s race for Idaho Superintendent of Public Instruction will test one of my long held theories about the state’s politics. It will be news to some voters, but Democrats have occasionally won elections in Idaho, but generally only when Republicans screw up and put forward a candidate broadly seen as unfit or ill prepared. When that happens a competent Democrat can win and often stay in office for a while. Frank Church won the first of his four terms in the Senate in 1956 because he faced a flawed GOP incumbent, Herman Welker, who had distinguished himself as Joe McCarthy’s best friend in the Senate. Welker was likely also suffering from a brain tumor, which may have contributed to an erratic personality that offended many voters, including Republicans. Unacceptable GOP candidate equals Democratic win. Cecil Andrus used to joke that had there not been a Don Samuelson, another bumbling GOP incumbent, he would never have won the first of his four terms as governor. Democrat John Evans beat the hapless Republican gubernatorial candidate Allen Larsen in 1978 only after Larsen, an awful candidate, told live-and-let-live Idahoans that he thought it was possible to legislate morality. That’s why you don’t remember Governor Larsen. Richard Stallings was elected to Congress because the GOP incumbent George Hansen was a serial crook. One judge, obviously giving Big George the benefit of the doubt, said Hansen’s failure to comply with campaign finance law was not necessarily “evil” but “stupid, surely.” Hansen later served time for defrauding a bank. Which brings us to Cindy Wilson, the earnest, experienced, energetic and personable Democratic candidate for state superintendent of public instruction. Wilson, based on her resume and grasp of issues, should, even in red Idaho, be a serious candidate. She’s taught for 33 years in schools in Orofino, Pierce, Shelley, Boise and Meridian. She’s won awards for her classroom success and Governor Butch Otter appointed her to the state board of corrections, giving Wilson a view of how educational failure contributes to exploding prison populations. That Wilson has a chance to win, however, says as much about the underwhelming incumbent as it does about the challenger. 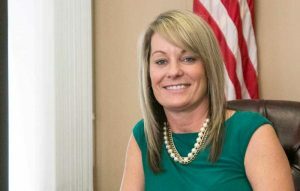 Republican incumbent Sherri Ybarra is, as one astute observer told me, really “an accidental candidate.” Ybarra, a total political unknown with a shallow resume, came from nowhere to win the GOP nomination four years ago. That was enough for a Republican “fresh face” to win a general election. Since then Ybarra’s often erratic performance has raised persistent questions about her competence and even her interest in the job. For a politician who is supposed to be an advocate for Idaho’s 300,000 public school students, Ybarra frequently seems to have forgotten to do her homework. Ybarra has been late with her campaign finance reports and has never fully explained why she had to amend disclosure reports going back to 2017 to justify why she paid herself back for a loan to her campaign that she had never disclosed as a loan in the first place. Ybarra has stressed support for rural schools, but her policy proposals have been thin to the point of non-existence. Gubernatorial candidate Brad Little, by contrast, recently put some specific meat on the bones of how rural districts might actually combine certain services. It is the kind of thing a chief school officer might do rather than a candidate for governor. Ybarra has touted a school safety initiative – KISS, Keep Idaho Students Safe – but did nothing to coordinate her very expensive proposal with the office state lawmakers specifically established to deal with that issue. As Idaho Education News reported recently the head of the Idaho Office of School Safety and Security was dumbfounded to learn that Ybarra had gone off on her own, ignoring the expertise in his office. “We didn’t even know she was looking at doing any kind of safety initiative until she announced it to the general public,” said school safety program manager Brian Armes. 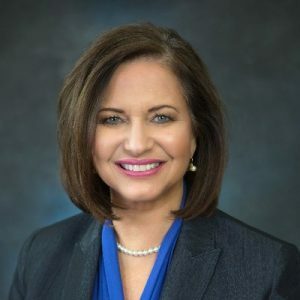 Challenger Wilson might have simplified her entire campaign by adopting an easily understood slogan: “I’ll show up for work.” Ybarra has frequently missed state board of education meetings, including a meeting this summer that conflicted with her professed need to pack for a vacation. Lately she has been stiffing joint appearances with Wilson, including in the last few days an Idaho Falls City Club event and an educational forum at Boise State University. Ybarra ducked the Idaho Falls appearance in favor of a fundraiser at a pub in Eagle owned by a former colleague who lost his educational credentials after being accused of multiple counts of sexual harassment. “He was punished for that, and he’s still a friend of mine,” Ybarra told reporter Clark Corbin of Idaho Education News. “We’re not around kids right now, we’re at a fundraiser.” That statement will be remembered as the definition of tone deaf, or perhaps worse. The last time Idaho had a bumbler in the state superintendent’s office voters overwhelmingly rejected his “education reforms” at the ballot box. And before that an incompetent Republican state superintendent lost re-election to Democrat Marilyn Howard, who went on to serve two terms, carrying on a tradition of professional, competent management of the office that dates back to Jerry Evans and Roy Truby in the 1970s and 1980s. Having the big R behind your name is often all it takes to win in Idaho, but if voters are paying attention and really want competence in a job critical to kids and parents and the economy, the incumbent state superintendent will be looking for a new job in January.